VF Micro reducer - Taizhou Kangpu Machinery Co., Ltd.
VF Series apply to food, cooking machinery, printing machinery, carpentry machinery, small textile machinery, rubber machinery, small chemical machinery and plastic machinery. VF series is low in noise, attractive and durable. It can be connected respectively with motors such as normal motor, brake motor, explosion-proof motor, frequency conversion motor, servo motor, IEC motor and so on. It can be mounted discretionary six orientation in solid space. This kind of product is widely used in drive fields such as textile, foodstuff, beverage, chemical industry, automatic arm ladder, automatic storage equipment, metallurgy, tobacco, environment-protection, logistics and so on. 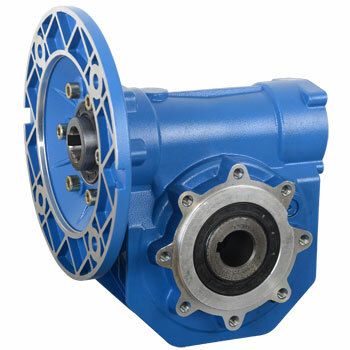 VF series worm gear reducers are designed and manufactured according to Kangpu technical quality standard. 1. Compact structure, light size, small and high efficiency. 2. Good function or heat exchange, rapid heat rejection. 3. Easy installation and flexible connecting style. Easy for maintaining and checking. 4. Large in both transmission ratio and twisting distance (N.m) resulting to high capacity of bearing and loading. 5. Stable operation, little noise, long lasting. 6. Widely applicable and liable. The products are widely applied in the producing equipments of all kinds of industries inside and outside China. They are the best choice for nowadays modern facilities of mechanical reducing drive control realize large twisting distance, large gear ratio, little noise, high efficiency and stability.